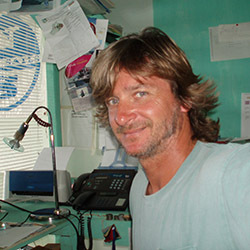 Caribbean Yachting is one of St. Lucia’s leading yacht charter and brokerage providers, owned and operated by Ben Jelic, a professional sailor with over 30 years experience in building, racing and selling yachts. Simply put, there is no better corner of the world for taking to the ocean on the deck of your own private yacht. The Caribbean is made up of hundreds of lush tropical islands, each unique in their charm and characteristics, from the quaint and sleepy Grenadines in the south to the Megayacht havens such as Turks & Caicos in the north. We have sailed throughout the Caribbean for years, bringing a wealth of experience and knowledge to ensure that whether you are looking to Charter or Buy, you are equipped to make the right decision and enjoy the experience of a lifetime! Our vision is to enable visitors to the Caribbean to enjoy this tropical paradise from the luxury of their own private yacht, whether chartered or owned, and to use our expertise to ensure that the moments spent here are cherished for the rest of our clients’ lives. © 2014 Caribbean Yachting • Site by Horizons Media Group.